We’re committed to being the engine of social and economic value, not only within McGill, but also for local, national and international communities. We’re bringing our research, expertise and talent to bear on that commitment. We’re expanding McGill’s entrepreneurship capacity, growing our industry collaboration efforts, and enabling community engagement initiatives developed by students, alumni and faculty members. The McGill Dobson Centre for Entrepreneurship is the University’s hub of entrepreneurial activity. The Centre’s mission is to find, teach and develop world-class entrepreneurs. The McGill X-1 Accelerator is a 10-week summer program that accelerates McGill startups toward investment readiness and launch. In 2016, six teams participated, up from five the year before—which was the program’s inaugural year. For 2017, eight teams have been selected to participate. The teams were featured at Demo Day events in Montreal, Boston, and San Francisco to help them hone their pitch. Demo Days also feature tours of big-ticket entrepreneurship and innovation institutions, as well as major corporations. The McGill Lean Startup Program was launched in September 2015. For the 2016 cohort, eight startups participated out of 42 applications from graduate, undergraduate, post-doctorate and professor founders across all faculties. This is up from five teams that participated in 2015. The free 10-week session minimizes lecture time in favour of student–teacher interaction and allows teams to test ideas outside the classroom. McGill Dobson Cup 2017, McGill's annual flagship startup competition, began with a field of 136 teams, of which 121 progressed to the semi-finals. 40 teams competed in the finals for a total of $100,000 in seed funding. 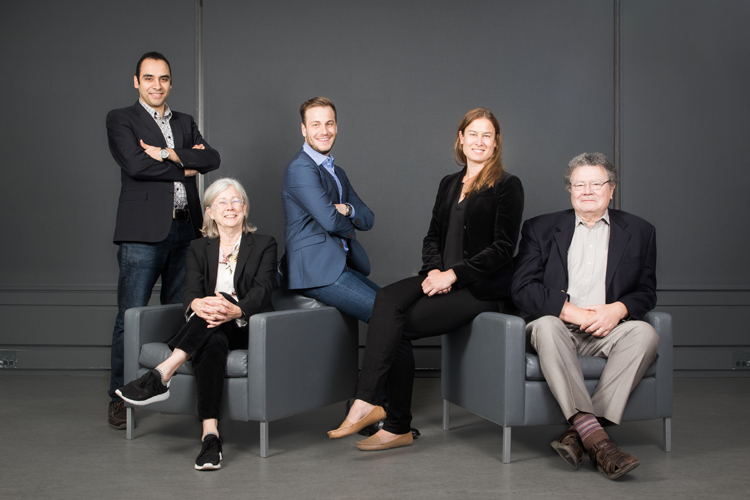 This was the first year for the L’Oréal-Dobson Startup Award Prize, and the second year for the $5,000 Food and Agribusiness Convergent Innovation Prize, which is awarded in partnership with the Faculty of Agricultural and Environmental Sciences and the McGill Centre for the Convergence of Health and Economics. Claiming the top spot in the Health Sciences Track of the McGill Dobson Cup 2017 was Saccade Analytics, led by its president and scientific director Dr. Henrietta (Mimi) Galiana, Professor of Biomedical Engineering and pioneer in model-based analysis for eye and head coordination. Saccade Analytics provides neural disease diagnostic solutions in the form of automated software that analyzes eye and head movements. The health metrics generated from these studies help doctors diagnose diseases and to evaluate the progress of recovery more efficiently.